Train Wrecks, Has-beens and More Go "Dancing"
Bristol Palin, "The Situation" and David Hasselhoff head a cast that promises to grab attention, but not necessarily for their fancy footwork. The wait is over. Three weeks before “Dancing With the Stars” returns for one more season of ballroom beginners, unfortunate injuries and strategically-placed sequins, the upcoming cast has been revealed — or more accurately, confirmed. While Monday night’s announcement marked the first official statement concerning the 11th season’s cast of characters, early leaks meant most of the names were common knowledge. Still, knowing what to expect hardly makes this batch of would-be waltzers, which includes David Hasselhoff and teen-mom-turned-abstinence-advocate Bristol Palin, any less jaw-dropping. But casting calls like these shouldn’t seem shocking. Last season, “Dancing With the Stars” not only outperformed its previous ratings, it beat out perennial chart topper “American Idol.” Arguably “Idol” gave “Dancing” an unexpected advantage by bringing one of its least compelling efforts to the game — not that that took away from the ballroom victory. After all, “Dancing” stumbled upon a winning formula by a casting a woman who brought viewers even if she couldn’t bring fancy footwork. Sure, Kate Gosselin wasn’t, and isn’t, everyone’s favorite TV mom. Her gossip-worthy attitude issues, messy divorce and eight reality-TV-ready kids make her a polarizing figure to say the least. But love or hate her, viewers tuned in big numbers week after week to see just what new and unexpected crime against dance she could possibly commit. And ratings speak louder than perfect scores. If one Kate could do that, think of what few could do. Leading the pack of the upcoming season’s polarizing personalities is the aforementioned Palin. At just 19-years-old and hot off the heels of her second messy breakup with baby-daddy Levi Johnston, the sometimes-public speaker packs her own baggage but also brings along plenty of public opinion otherwise aimed at her mom, politician and part-time pundit Sarah Palin. 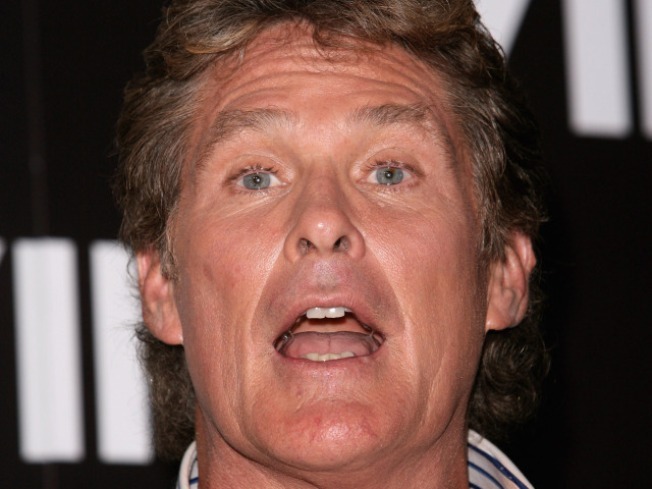 Next up, still riding the high from his recent Comedy Central roast, is former “Baywatch” hotshot Hasselhoff. While the Hoff first made a name for himself on the small screen and possesses an undeniable cheesy charm that could work in the ballroom, it’s hard to separate the man from his off-screen reputation, seemingly frequent hospital runs and well, that one video. Joining, and in some ways outshining his fellow experiments in stunt casting, is “Jersey Shore’s” Mike “The Situation” Sorrentino. The Seaside Heights resident has turned self-marketing into an art form, by some estimates promoting his Gym-Tan-Laundry lifestyle to the tune of $5 million this year, but whether he can sell himself as anything other than an odd ab-flasher on the dance floor remains to be seen. Rounding out the acts with sideshow appeal is former resident of “The Hills” Audrina Patridge — well, sort of. See, for those who never followed the MTV almost-reality TV show, Patridge is a virtual unknown. Someone must have been asleep at the casting wheel to pass by this opportunity to get one-half of “The Hills’” most cringe-worthy couple, Speidi. Or maybe Spencer Pratt and Heidi Montag were just too busy with their ongoing suspicious split to devote time to dancing. Thankfully, once one looks beyond the eye-catchers, there are few watchable hoofers with real potential. Topping that list is Jennifer Grey — or as loyal “Dirty Dancing” fans will forever know her, Frances “Baby” Houseman. Anyone else joining the show with established ballroom experience would be called a ringer, but Grey might avoid that moniker. Despite her background in dance, “Baby” will likely be seen as this season’s sentimental favorite. Bringing along the advantage typical of musicians with dance and frequent performance experience is R&B artist Brandy. She may not take to the formal styling of the foxtrot or the tango, but Brandy has enough choreography know-how behind her to almost guarantee a few worthwhile weeks. Michael Bolton has even more experience musically but far less where dance is concerned, unless that adult contemporary shoulder-sway counts. Still a basic sense of rhythm and a decent build for ballroom should serve Bolton well. And then there’s everyone else — the random wild-card assortment of ballroom hopefuls. The best bet of the last bunch is Florence Henderson, aka Mrs. Brady. The 76-year-old Henderson fills the traditional person-over-a-certain-age “Dancing” spot previously occupied by Buzz Aldrin and Cloris Leachman. One difference in “The Brady Bunch” alum’s favor is a history in musical theater — albeit a distant history. Then there’s comedienne and “Drop Dead Diva” Margaret Cho, who’s a complete question mark when it comes to her soft shoe potential. It wouldn’t exactly be a shock to see Cho effectively sashay, but despite a long career in comedy, Cho’s managed to maintain a somewhat low-profile with the general public. That may mean she won’t be around long enough to show what she can do. Athletes have a better than average record when it comes to competing and even winning on “Dancing With the Stars,” but retired quarterback and Super Bowl champ Kurt Warner looks a little stiff when he’s just walking across the floor. Throw in elaborate costumes, detailed choreography and a jumping jive and suddenly Warner hardly seems likely to follow in Emmitt Smith’s footsteps. Last in line comes Disney Channel star Kyle Massey, better known as “Who?” to anyone over 20. Playing in the 19-year-old’s favor is the fact that no one can text a vote more effectively than a tween. The strange talent mix for the upcoming season of “Dancing With the Stars” could shape the future of the show. If the spectacle-heavy players outlast their competition and pay off in the ratings, the next cast could make this one seem tame by comparison. Jon Gosselin, Michael Lohan and the rest of “Jersey Shore” might want to keep their schedules open, just in case. Ree Hines can’t wait for the ballroom bash to begin. Follow @ReeHines on Twitter and share your take on the “Dancing” cast.